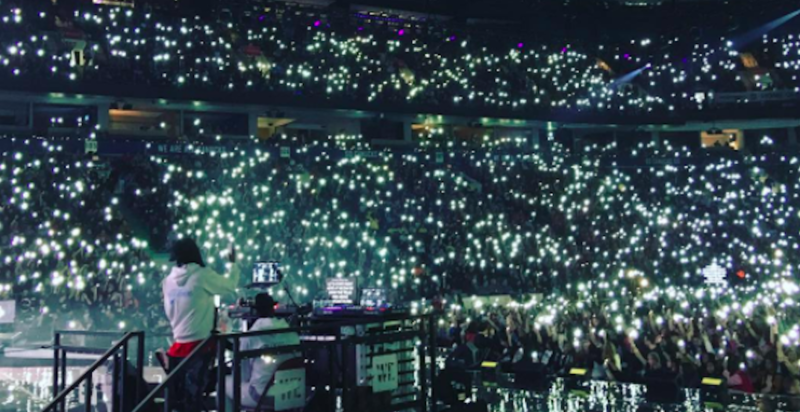 WE Day returned to Rogers Arena on Wednesday and thousands of youth were inspired and encouraged to be a force for change and positive movement in the world. WE Day brings together students, youth advocates, and inspirational stars to motivate and promote a positive change for the world. This year’s celebrity guests included Martin Sheen, Hedley, and Jacob Tremblay. The event is part of global WE Day—the world’s largest youth empowerment event—aimed at igniting millions of youth to build a more caring and compassionate world. This year’s WE Day celebrated Generation WE, “a generation filled with young people coming together to show their strength in numbers,” according to organizers. And there was strength in numbers indeed on Wednesday, as approximately 18,000 youth took part in the event. Bring out those phones! We Day!